My son took this Image. It was taken at Tower Gardens in Skegness, I like how in the distance behind the flowers he captured the old Victorian building that used to be a pub on the park. 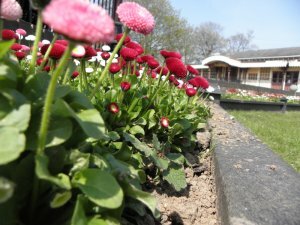 Photo of Flowers around Skegness Band Stand. 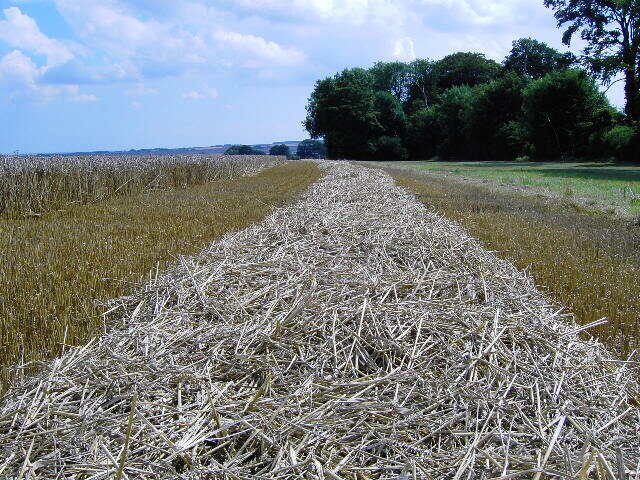 Image of Line of Cut Hay. Image of Skegness Tower Gardens Local Park.